Around the Globe, Repair Zone is your one-stop destination for servo motor and electronics equipment. 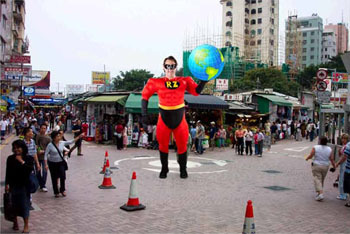 Repair Zone Man has got the Whole World in his hands! Whether you need to buy, repair, or exchange, we’ve got you covered! Buy online or over the phone from our vast inventory of new, remanufactured and as-is products. In most cases, we can have these items out to you for quick delivery across the planet. We pride ourselves in offering quality products and service in the shortest time possible. Need a critical repair? We know how important it is for you to keep your equipment up and running. Our standard repair service takes 3-5 days, but rush service is available upon request. You ship us your item, and we’ll get it back to you fast, no matter what country you’re located in. Plus, all of our repairs are done by our expert technicians in-house, and backed by our one year warranty. If we’ve already got your part in stock, our exchange process can save you even more time and money. Contact us, and we can have your remanufactured product out the same day. Once you receive your order send your broken part back to us for a core credit refund. Learn more about our Exchange Process. As one of the most reputable suppliers in the industry, we take your time and money seriously. We make it our mission to provide the best in service and quality no matter what the situation. Repair Zone is your world-wide provider for all servo motor and electronic needs, especially during emergencies. Contact Us with any questions or request a Free Quote today. You can also Chat Online with one of our outstanding customer service representatives.